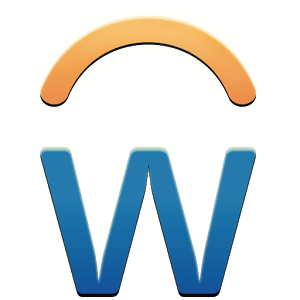 WDAY was founded in 2005, but did not go public until October 2012. The company provides human resources software applications that allow its customers to better manage a variety of tasks involving finance, recruiting, expenses and payroll. Through the use of cutting-edge cloud technology, WDAY services hundreds of large corporations, educational institutions and governmental agencies around the world. It competes with long-time industry behemoths such as Oracle (ORCL), NetSuite (N), and SAP (SAP). Despite the stock’s slide, several measures in the most recent quarter were better than expectations. WDAY reported its highest-ever revenue of $215 million, up 68% over the prior year’s quarter and 15% more than the quarter ending in July. Additionally, Workday stock benefited from a 75% year-over-year bump in customer subscriptions. The company is spending more on product development and sales and marketing — a whopping 58% increase. That’s preventing it from moving towards profitability, but it is also spurring growth. During Monday’s presentation, Workday’s CEO Aneel Bhusri described a new suite of software products that are expected to increase the company’s global market share and competitiveness in 2015. WDAY also recently celebrated its 100th customer. All efforts are focused on maintaining the growth trend with updated products and services, as well as new functionality specifically designed to meet the needs of large corporations. The company’s new Insight Applications, scheduled to roll out next year, highlights Workday’s advanced capabilities in the fields of big data, financial management and cloud computing. It comes with predictive analysis features that should be useful for some of WDAY’s high-profile clients, such as Bank of America (BAC), Rolls Royce (RYCEY), TalkTalk Telecom and Huron Consulting. Partnerships with complimentary organizations such as Hewlett-Packard (HPQ) should help increase WDAY’s brand awareness while opening the doors to existing databases of potential new clients. Going forward, WDAY expects fourth-quarter revenue in the range of $219 million to $222 million, or between 54% and 56% growth. These amounts equate to just over 40% year-over-year growth, which is short of analyst expectations for 47% growth. But at the current price, I think Workday stock has significant long-term potential. If last quarter’s increased spending on product development and sales and marketing results in an increase in revenue, Workday stock should begin to climb again. Shares are off their 52-week high of $116 by approximately 25%, but are up over 79% since the Oct. 2012 IPO. For long-term growth investors looking for a cloud-computing play, Workday could be a wise choice.